1) By staying cutting edge of marketing opportunities in this challenging and ever changing world of real estate. Whether it is a video presentation on Facebook or "coming soon" on Zillow, Katie stays abreast of current marketing strategies that set her listings apart. 2) By giving individual, hands-on service and advice based on 35+ years of experience. 3) By being adept at writing and negotiating contacts and advising sellers on key points of the sale negotiation process. 4) By advising her sellers in ways to save money, often saving them thousands of dollars. 5) By crafting a MLS listing photo gallery and description which "presell" the home to prospective buyers, creates excitement among top agents and maximizes the seller's return. 6) By helping sellers anticipate and solve problems before they become big problems to save time, money and stress. 7) By continuously networking with other top agents to attract more potential buyers for her listings and new listings for her buyers. 35+ years of experience pays off. 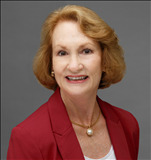 Katie has been a top real estate broker agent throughout fast moving markets, slower markets and turbulent markets. Katie is energetic, ethical, intelligent, a great negotiator and fun to work with! The technology arm of her business in a large and ever growing part of her marketing to gain her clients the utmost in listing exposure. Katie is "Where enthusiasm meets experience!" Call Katie and Discover the Difference Great Marketing Makes!